Hello all. I'm a new member as of this evening and I shoot exclusively with Pentax gear. I bought my first Pentax 35mm SLR, a Spotmatic, in 1966, while on R&R in Hong Kong during the Vietnam War. Yep, I'm an old timer! My Spotmatic served me well for many years, then I up-graded to a ME Super. I now shoot with a K-50, a K-30 and occasionally a Kx. It seems as if there aren't many members who shoot with a Pentax camera, but I'm looking forward to meeting those who do. Welcome to the Camel Dewman. Looking forward to more of your shots. Thank you for the welcome. I'm looking forward to contributing to the site. I think it's interesting that you shoot with three different systems. 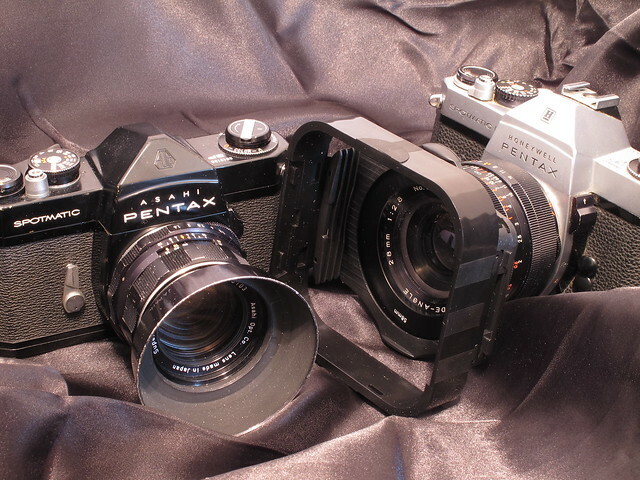 I don't have any experience with any brand other than Pentax..... unless you want to go back almost 50 years ago. Then, I could include a 4x5 Speed Graphic and a 16x20 Dierdorff during my Navy days. Thanks for the welcome, Wolf. Welcome to the Camel and thank you for your service. Thank you, sir. I appreciate your welcome. yes, i do a lot of shooting for different companies that want me to use their equipment or to teach them how to use it. I still use Asahi Pentax Spotmatics.